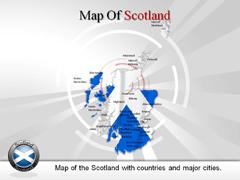 United Kingdom is a sssovereign nation which is located in the continental Europe. 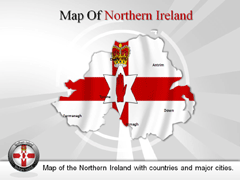 The United Kingdom of Great Britain and Northern Ireland is collectively and officially known as United Kingdom or Britain. It shares its coastline with the Atlantic Ocean, the North Sea, the Irish Sea and the English Channel. Its capital is London which is also its largest city. The residents of United Kingdom are called the British or Britons. The legislature of United Kingdom is called the Parliament with the Upper House known as the House of Lords and the Lower House known as the House of Commons. The government of the country is called the Unitary Parliamentary Constitutional Monarchy and has Queen Elizabeth II as its Monarch. David Cameron is the acting Prime Minister of the country. It covers an area of 243,610 kilometers square and reached the 80th place in terms of land area. It has a population of 62,262,000 and has attained 22nd position as the world's most populous country. The national currency of United Kingdom is called Pound Sterling. English is the official language of United Kingdom. Irish, Scottish and Cornish are the widely spoken languages of the country. Christianity is the most practiced religion in United Kingdom, followed by Islam, Hinduism, Sikhism, Judaism and Buddhism. 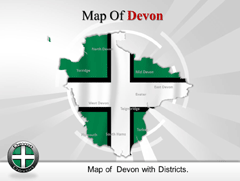 The United Kingdom PowerPoint maps which are offered by us are fully editable PowerPoint maps United Kingdom. 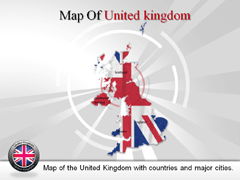 In these United Kingdom PPT maps, you can add graphics, audios, videos etc. to make the presentation more attractive. 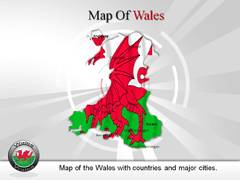 Also, you can add animation to the PowerPoint map background United Kingdom in order to provide a life-like look to the presentation. 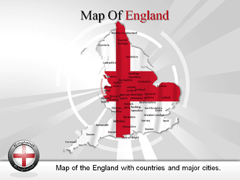 These geographical layouts help its user to locate a specific region of United Kingdom.